The brewery industry has been booming over the last few years, and now more than ever, it is important for businesses within the brewery industry to ensure they produce safe and quality beers. An increasing number of breweries are turning to ATP testing to validate the effectiveness of their cleaning systems and prove to potential, and existing retailers, the high standard of safety within their operation. 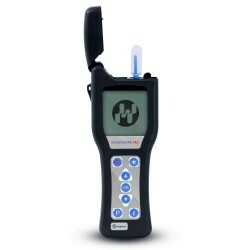 ATP testing is a simple and affordable method to verify the efficiency of cleaning systems. An ATP meter works in combination with swabs designed to detect organic residue on surface or water samples through a bioluminescent reaction. Swab devices contain a modified firefly enzyme that reacts with organic material to produce light, which is then measured in a handheld meter – called a luminometer. The light output measured by the luminometer is converted into an RLU number (Relative Light Unit). The lower the RLU number, the cleaner the area tested, either surface or water sample. 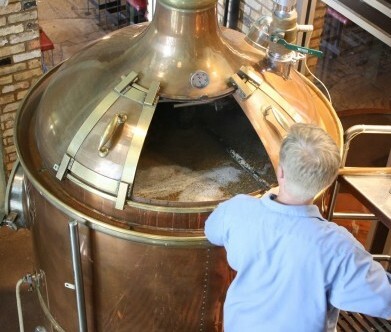 When it comes to breweries, a quick turnaround is essential and, as soon as a tank is emptied, it needs to be deep cleaned and ready for the next brew. ATP monitoring allows the user to conduct onsite tests to validate the efficiency of cleaning systems with results in just 15 seconds. Breweries can use ATP monitoring to ensure equipment has been thoroughly cleaned before moving on to the sanitising process. Additionally, sanitisers can’t work as effectively on surfaces if cleaning systems haven’t worked sufficiently. If a high level of RLU is reported, the user can undertake another cleaning cycle, until an appropriate RLU level is reached. An increasingly popular food safety standard, SALSA, has developed a separate standard solely for the brewery industry – the SALSA plus beer accreditation. A core element to this standard is evidence of strong and provable hygiene. The use of ATP monitoring to validate cleaning efficiency is an effective method of demonstrating high levels of hygiene within your business. There are a wide range of benefits to the use of ATP testing that can be applied to a broad selection of industries. For advice on how your business can benefit from the use of ATP monitoring, talk to an expert on 08450 267 745.